The very thought of a business meeting paints a picture of boredom in the minds of most employees. This is mainly because of never ending chain of long and boring ppts. The speaker faces an awkward situation of distracted listeners with looks astray on their watches or mobile phones. This scenario is common for all corporates. But with such important information to be conveyed to the audience, what can the speaker do to keep the attention of employees from drifting away from the agenda of the business meeting? A video presentation is the clear answer. Videos have become the ‘one size fits all’ solution, a language of the masses. Particularly on the emotional front, it can tell great stories that greatly influences people. And that is why implementing it in a presentation before important stakeholders is a great idea. Over the years, powerpoint may have been set as the standard for business presentations, but unless your visual aid is good enough, it cannot outweigh a video in hooking the audience. The presence of a Video presentation delivers a vibe of energy and momentum in the boardroom. It makes your presentation more alive and demanding. It is the video that acts as an element of attention in an otherwise dry presentation. Before we dive in further into video presentations, let us see how the presence of a video can render its benefits. Video can tell a compelling story which can convey some emotion along with the message. Everyone knows the famous fact: Emotion drives sales. A thirty second video can convey half a million words. By playing a short 30-second video instead of ramming in 15 bullet points into one slide, you can make the message easily sink into the minds of the audience. While conveying a metaphor, the video comes in handy in showing the audience the context of the message. The speaker gets a versatile medium to convey his thoughts. He gets his space and time to make his presentation even more lively. Below are listed the 5 types of video presentations you can use to wow your audience. It is a universal fact that sales is one of the most important functions of a business. Most deal closures happen at the end of an exciting presentation by the sales executive. To increase the chances of a sales closure, a sales executive should ensure that the first few seconds of the sales presentation must be intriguing enough to keep the prospect hooked through the entire presentation. Rather than a boring monologue from the sales executive, a video presentation with impressive visuals showing the benefits that their offering can seal the deal in a matter of minutes. With a video presentation, you can convey palpable excitement and make the customer want to know more about your product. You can induce in them a liking for the product and an urge to find out more. Here are a few tips to make your sales video presentations more intriguing. Focus on what the audience wants. Instead of having the features of your product in the first slide, state the problem faced by the audience and the solution of the problem in your presentation. The audience would like their mind to be read, and their queries answered without being asked. Statistics say that a sales presentation with a story is more likely to resonate with the audience than a presentation merely about the product or features. Stories add emotion into the equation and emotions drive sales. It is a scientifically proven fact that people take more emotional decisions than mindful decisions. Lay emphasis on how your product is different from the competitors’ and also convey the benefits it can offer them. Decide and give a structure to your video. Determine the perfect structure to your video that can pitch to the audience. There need not be a format. If the flow is alluring, then your purpose is met. The visuals of the video should be enticing. Venture capitalists hear hundreds of pitches a year. Few of the entrepreneurs succeed while most of them fail. This is mostly because the entrepreneurs fail to convey information that the investors look for in an engaging and understandable way. You have to answer the questions in the minds of investors to give them a reason to believe in your brand. You have to convey the value proposition to your investors and show why your idea is brilliant. You must choose a potential medium that can showcase your brand and your idea in a compelling way. And for most of the reasons described above, the video presentation stands out again. By balancing the voice with the visuals, video presentation can serve as a better platform to convey thoughts and ideas compared to the slides. Add an inspiring situational video to the presentation mix and you can make your idea shine in front of the investor. Including this story at the beginning of the video presentation makes the session a lot more interesting and easy to comprehend, compared to the powerpoint presentations. For this reason, video presentations are gaining momentum nowadays to become the preferred choice by the corporates for sales pitches. It has the efficacy to craft an impactful impression in the minds of the viewer. Before making your VC sales pitch video presentation, have a look at the 11 slides listed below. 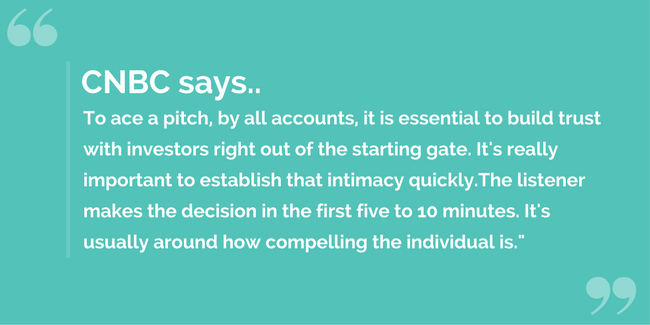 According to an excerpt from Forbes, these are the 11 basic slides every entrepreneur should look to add in their investor pitch deck. We have a carefully designed Animaker pitch deck template that can effectively pitch your startup idea to investors in less than 3 minutes. True to the word, employees are the driving force of the company. The company's success or the failure depends on them. So if you want your business to be successful and your team productive, you need to both train and motivate your employees. Big corporates have invested on training videos to make their employees more skilled. On the other hand, the companies which had not made this investment have lost most of their business to companies with better training modules. 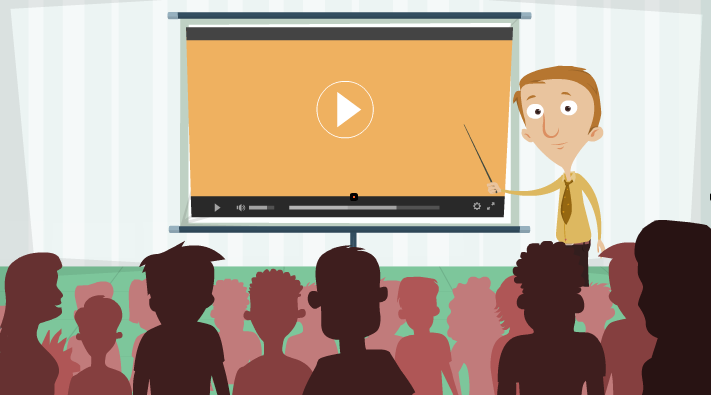 Video presentations are the secret formula for designing better training modules. Video presentation as a part of the training module is similar to an inspirational movie. It hooks you in the starting and teaches you a lesson at the end. And for this obvious reason, corporates have implemented it in their training material. Corporates have made several training videos like soft skill development video, software training video, safety training video, corporate behavior video, etc. To get more information on how you can use video presentations in corporate training, you can follow this link. Excel sheets and Powerpoint are outdated. They belong to the age of baby boomers. In an age where witty millennials are becoming you managers, they expect their subordinates to come up with better presentations. Video presentations are the answer to all the woes of the young subordinates. By adding video infographics to an already impressive video presentation made with Animaker, people can really stand out from the crowd and impress their boss. Especially with Animaker’s video infographics, you get the perfect tool to present your video presentations. "Presentation" is a term not restricted to business alone. It is a tool of learning. So it applies to education as well. Students, teachers, lecturers presentations use it to show what they want to say. It is a visual aid. The goal of the presentation is to help the students to grasp the concept, apply it and advance on it. Somehow here too, the video serves its purpose. Especially animated videos hold a special place in the minds of the students because it resembles the cartoons which are eye catchy. So teachers can use it to their advantage to create creative, colorful and attractive video presentations. It serves a dual purpose. It entertains them as well as educates them. Of late, technology has been integrated into the curriculum, and video is the element that is extensively used. Teachers can ask their students to give video presentations instead of powerpoint presentations. This task inculcates both critical thinking and creativity inside them. The process of working with animations motivates them to naturally put in that extra effort for both coming with up a unique solution for the assignment and also creating the best looking Animated Video presentation. 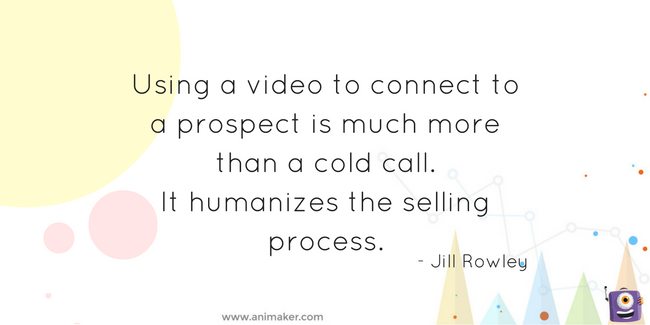 Video presentations are definitely a sure-fire solution to hook your potential prospects and sway their decisions to your side. But, there also needs to be a balance between the video and the energy with which the presentation is delivered. And most importantly, your video should tell a great story. If your story triggers a positive emotion in the minds of the audience, then voila they are bound to buy into your idea. Have experience using a video presentation before? Share us your thoughts in the comments section below.